Maria Wasti is a famous Pakistani actress, host and model. Her date of birth is 14th August 1980 and she is 36 years old. Her parents want her to become a doctor but her interest was in showbiz. Her acting career started with PTV and she has performed in several famous dramas. Currently, she is hosting a morning show “Sun Rise from Istanbul” on a Turkish TV channel “SEE TV”. She has good friendship with actresses Tooba Siddiqui and Ayesha Omar. On this August 14, Maria celebrated her 36th birthday. 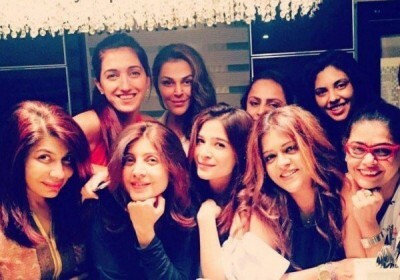 Sana Bucha, Ayesha Omar, Tooba Siddiqui, Soniya Khan and others were present during her birthday party. 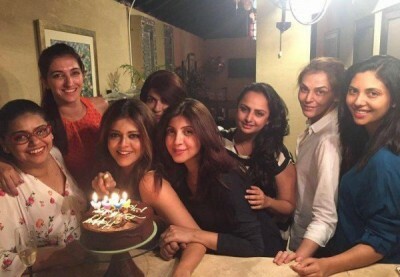 You can view few pictures of Maria Wasti’s birthday pictures here below.